A controversial measure aimed at stopping online privacy that critics contend would kill the Internet as we know it hit a minor snag on Friday, when a key backer delayed a vote on the measure until next week. 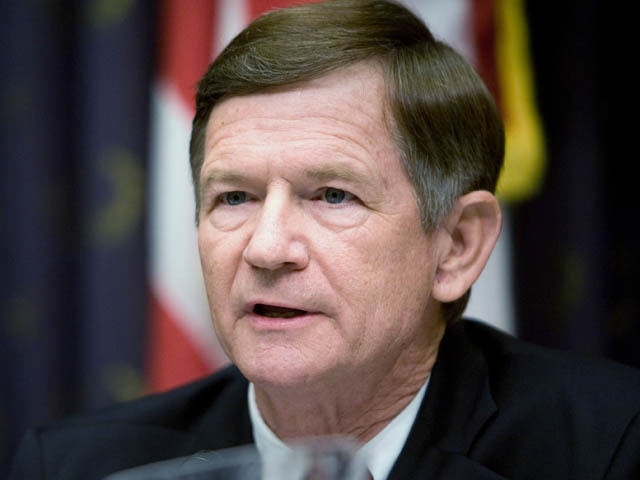 Republican Rep. Lamar Smith of Texas, who chairs the House Judiciary Committee, decided against holding a committee vote that had been expected on Friday. The panel later scheduled a vote for Wednesday, December 21. The Stop Online Piracy Act, or SOPA, aims to prevent Internet users from stealing content that does not belong to them but a growing chorus of opponents say the legislation is a sledgehammer that would stifle free speech. SOPA would give the Justice Department the power to shut down so-called "rogue" offshore web sites that sell pirated materials on the Internet, including music, movies and pharmaceuticals. The major Hollywood studios and media organizations, support the legislation. If the bill makes it through the committee, it would still have to pass the full House of Representatives and the Senate before it would go to President Obama's desk. "The impact of intellectual property theft by rogue sites is felt in countless ways and across every creative genre, from romance authors, to church and gospel music songwriters, to independent filmmakers," said Sandra Aisters, executive director of the Copyright Alliance, an industry group representing content producers. CBS Corporation, which owns CBSNews.com, is a member of the Copyright Alliance. But most of the major players in the technology industry, including Google and Facebook, are strongly opposed to the legislation because they say they would be forced to police their websites for possibly illegal content. Google, which owns YouTube, says the language is so broad that videos of teenagers dancing would be banned because of the copyrighted music playing in the background. And that would stifle innovation, they say. Public Knowledge, a Washington based advocacy organization pushing for an open Internet, slammed the panel's chair for pushing the legislation without understanding the bill's unintended consequences. "SOPA, as written, would threaten the functioning, freedom, and economic potential of the Internet," said Sherwin Siy, deputy legal director of Public Knowledge, adding that scheduling a vote "when many members may well be absent demonstrates a clear desire to continue dodging the questions raised by experts, members, and the public."